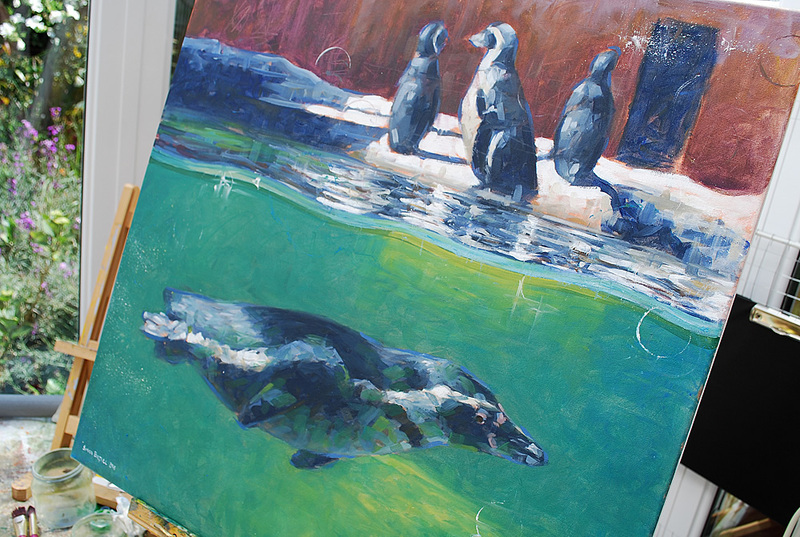 This painting, made in summer 2016, depicts a Humboldt penguin colony. It is based on reference photos taken on a trip to Gweek Seal Sanctuary in Cornwall on a beautiful summer’s day in May 2013. 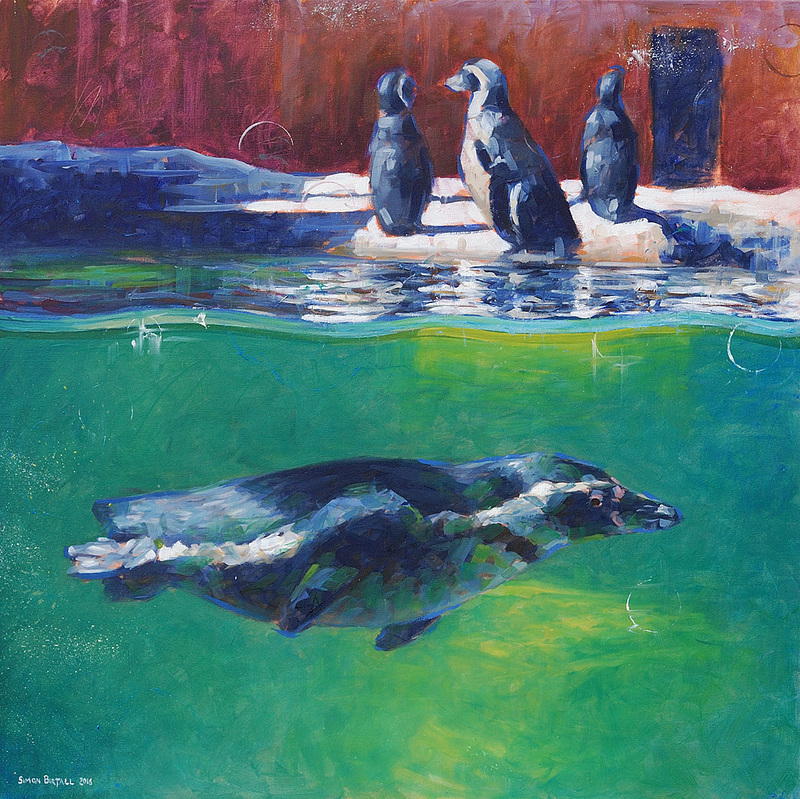 Three of the penguins occupy themselves on dry land whilst their friend takes a dip. The painting was made in Winsor & Newton Griffin alkyds on Daler-Rowney medium grain canvas. It is now available to buy via the PayPal ‘Buy Now’ link below.